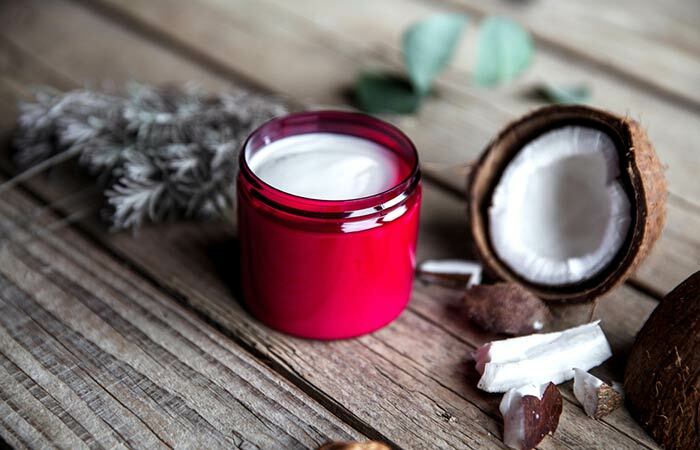 Coconut oil has been used in Ayurvedic treatments for a very long time, but it is only recently that it has become a subject of intense interest. 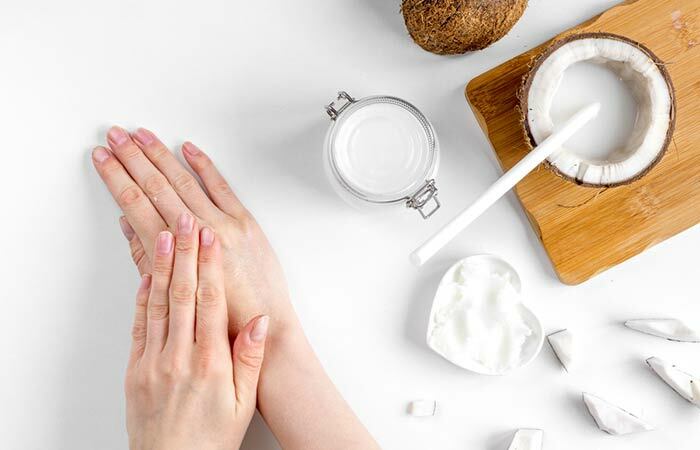 Thanks to a thumbs up from science (and loads of celebrity endorsements), the humble coconut oil finally seems to have found its place under the sun . And not just for its natural cosmetic uses, it is also fast becoming the superfood of the future, thanks to its good fat content and extensive mention in all ketogenic diet plans. So, without further ado, let us jump right into how coconut oil will keep you both looking and feeling younger! Just add a little oil to your toothpaste and you’ll be surprised by the results! 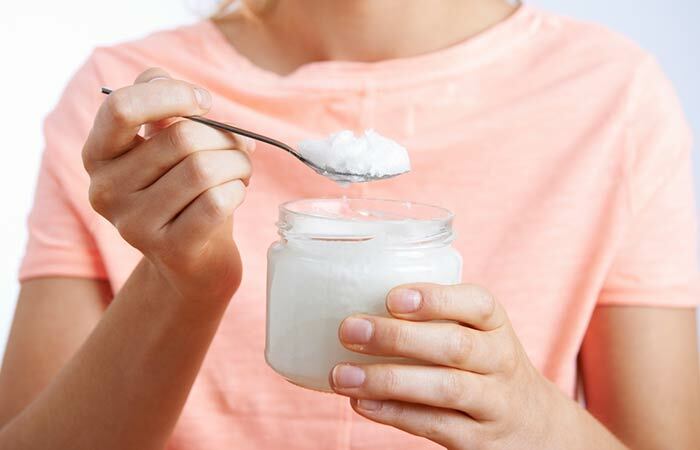 Coconut oil has natural whitening properties and adding it to your dental care routine is probably the most natural and harmless way of making sure that your teeth look pearly white at all times. There is also another technique called “oil pulling,” which is basically a way of detoxing your body using oil. All you have to do is keep the oil in your mouth and swish it around for about 20 minutes. Surprising, isn’t it? All you need is coconut oil, some baking soda, some cornstarch, and some essential oil, and you’re good to go! Just mix all of the ingredients in equal parts and add a few drops of your favorite essential oil to it. Rather than spending on super expensive products that are most likely toxic to some degree, just opt for the good old coconut oil. Not only will it take off your makeup perfectly well, it will also nourish your skin in the process. Just wash off later with some warm water to feel as fresh as ever. Instead of using commercially-produced body butters and lotions, just go for good old coconut oil. It works much better than the ones available in the market, trust us! Again, why use commercially-produced products when you can make your own organic ones at home? The process for this is really simple. Take some coconut oil, an essential oil that you like, and some jojoba oil. Mix the coconut oil and jojoba oil in a 2:1 ratio, add a few drops of the essential oil, stir properly, and it’s ready! You can even store it for future use. Many of us have brittle nails. But what many of us do not know is that the remedy for this is very simple: just apply coconut oil to it! The oil restores the moisture in the nails, making it healthy and strong. This is so simple, you’ll probably not believe us till you have tried it. Just beat (in an electric mixture) some coconut oil with essential oils. Once you have beaten it for 5 minutes, you’ll see that your very own natural and organic body butter is ready to be used! While we wouldn’t advise using it instead of sunscreen, but in case you have run out of sunscreen and need some protection for a short period of time, coconut oil is your go-to friend! It has an SPF level between 5 and 7. If you are out on a trek or are planning to go on a jungle safari, or simply live in an area that is prone to having insects over, this is your solution! All you have to do is add lemongrass oil (25 drops) to about a quarter cup of coconut oil. This is ready-to-use and you just have to slather it on. Instead of opting for soap or other creams, just use coconut oil. Apply it generously on your legs and arms. This makes your skin soft and also reduces the chance of rashes on your skin because of friction produced by the razor. And the best part is, while you’re shaving, you will also be moisturizing and hydrating your body with the most natural and organic material ever!